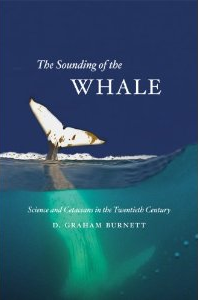 For anyone interested in whales and dolphins, this book looks fascinating: “The Sounding Of The Whale: Science And Cetaceans In The Twentieth Century.” It’s a masterwork by D. Graham Burnett, a professor of history of science at Princeton that explores the extensive–and sometimes brutal–history of humanity’s interaction with, and understanding of, cetaceans. In the twentieth century, however, our understanding of and relationship to these superlatives of creation underwent some astonishing changes, and with The Sounding of the Whale, D. Graham Burnett tells the fascinating story of the transformation of cetaceans from grotesque monsters, useful only as wallowing kegs of fat and fertilizer, to playful friends of humanity, bellwethers of environmental devastation, and, finally, totems of the counterculture in the Age of Aquarius. 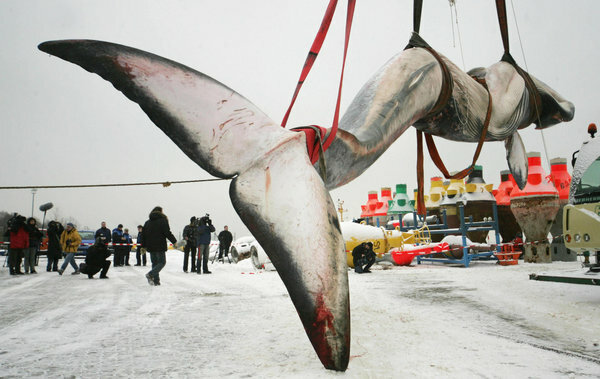 When Burnett opens his story, ignorance reigns: even Nature was misclassifying whales at the turn of the century, and the only biological study of the species was happening in gruesome Arctic slaughterhouses. But in the aftermath of World War I, an international effort to bring rational regulations to the whaling industry led to an explosion of global research—and regulations that, while well-meaning, were quashed, or widely flouted, by whaling nations, the first shot in a battle that continues to this day. The book closes with a look at the remarkable shift in public attitudes toward whales that began in the 1960s, as environmental concerns and new discoveries about whale behavior combined to make whales an object of sentimental concern and public adulation. A sweeping history, grounded in nearly a decade of research, The Sounding of the Whale tells a remarkable story of how science, politics, and simple human wonder intertwined to transform the way we see these behemoths from below.